But when it comes to the Establishment – politicians, the police, the press, and the professors – the unrelenting violence has a contrary effect. Those charged with interpreting the attacks live in a bubble of public denial (what they say privately is another matter) in which they feel compelled to pretend that Islam has no role in the violence, in part out of concern that to recognize it would cause even more problems. 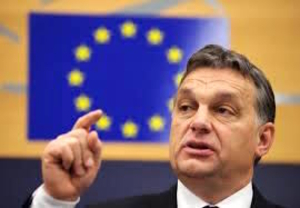 Viktor Orbán's Hungary may not last long in the EU. Or maybe he is the group's future leader? Placing the murderous rampage in Paris into this context: it will likely move European public sentiments substantially in one direction and Establishment policies in quite the opposite way, therefore ultimately having only a limited impact.